My kids love crafts. They would love to do them every day if I let them. 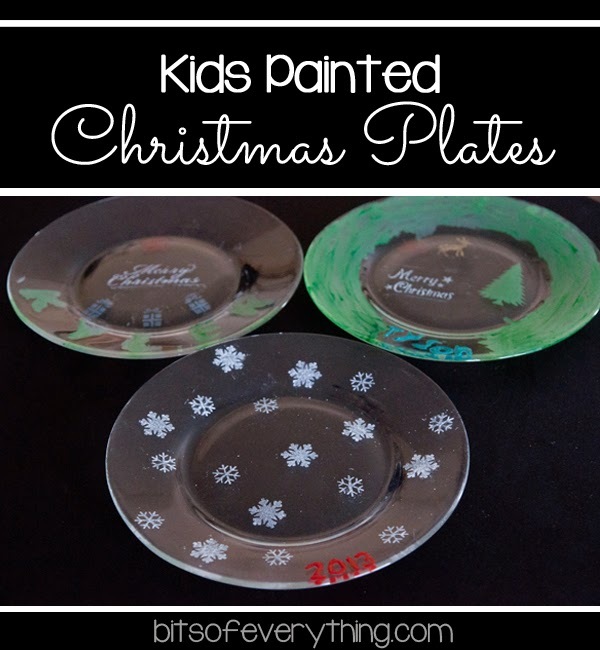 So, they were so excited when I told them they were going to paint their own Christmas plates. They were so easy too! Wash, Paint, Dry. First, I found these cute little plates in the dollar bin at Target. $1 each. Nice. Wash. To prep your plates, wash them good, removing any stickers. 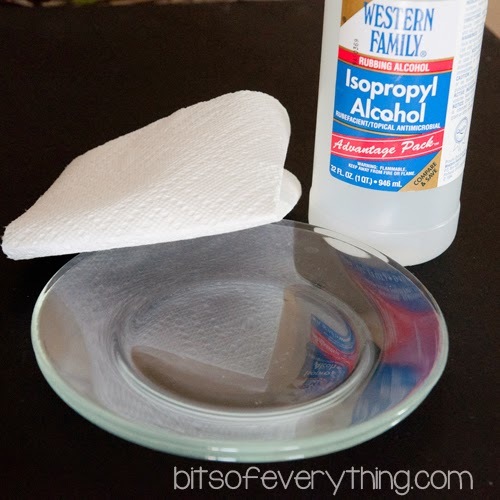 Then, wipe down with alcohol to be sure there isn’t any soap reside still left on the plate. Paint. We used Martha Stewart Crafts. 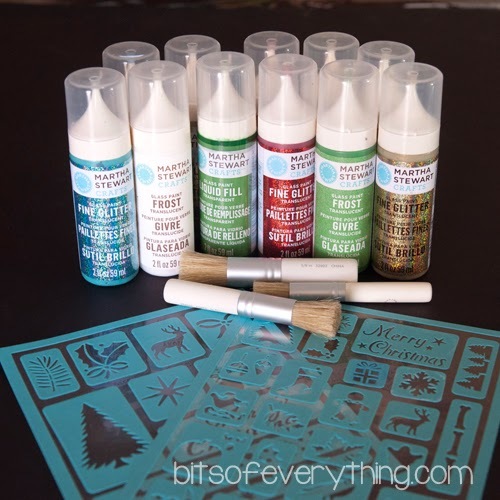 The Glass Paint, Stencils, and Stencil Brushes. Get the Martha Stewart Crafts line in-store at Michaels or in Plaid’s online store. Dry and Cure. There are 2 ways to do this. Air Dry or Bake. Air Dry Method: Air dry the project for 21 days before using. 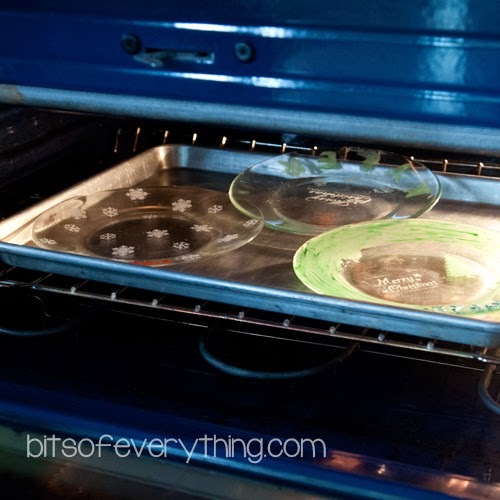 Bake Method: Place your painted glassware in a cool oven. Set the oven temperature to 350ºF and bake for 30 minutes. Note: Glass must heat gradually with the oven to avoid breakage. After 30 minutes, turn the oven off; let the glass cool completely in the oven. Painted glass should heat up and cool down in the oven. Set aside for 72 hours. These plates would look great a decorations, but we plan to use ours throughout the holidays. Once your paint is cured, it’s dishwasher safe (on the top rack.) Enjoy! Plaid’s Martha Stewart Crafts Pinterest board. How darling are these! My daughter would love to do something like this! 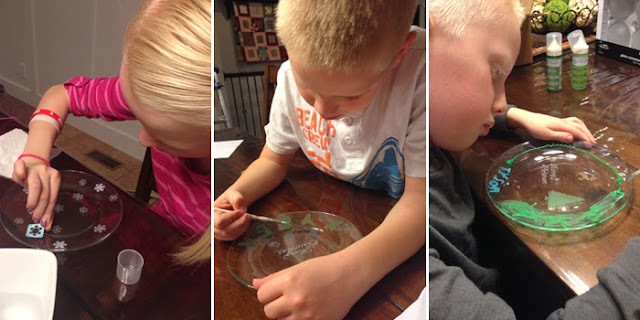 What a great craft idea to do with kids, they turned out great and look entertained by it – win/win! I love that you let your kids just do their thing! So fun! I think I need to let Lillie give this a try! What a fun idea for the kids! And they turned out very cute! Do these have to be clear glass plates or will any plate do as long as it’s not plastic? last few posts have been kinda boring? I miss your tremendous writings.